Arty News » Why is there so much terrorism in the world now? Why is there so much terrorism in the world now? Why is there so much hatred? religious beliefs, in many parts of the world? The threat from terrorists and extreme militants is now very real. No peace loving person is immune from their attacks. No country is safe because these terrorists can strike at any time. Why are people, some very young, so easily radicalized? What is motivating these extremists to kill innocent bystanders? people at any one time. completely changed the way how many people used to look at terrorism,. Terrorist acts could no longer be treated as quite rare or isolated incidents. They were seen as real threats which can occur anywhere and at anytime. to find the terrorists responsible for the attacks and bring them to justice. and intelligence were increased to detect and identify terrorist threats. indirectly blamed for the attacks. What is the root cause for terrorism? There are many possible causes. How to stop the terrorists? 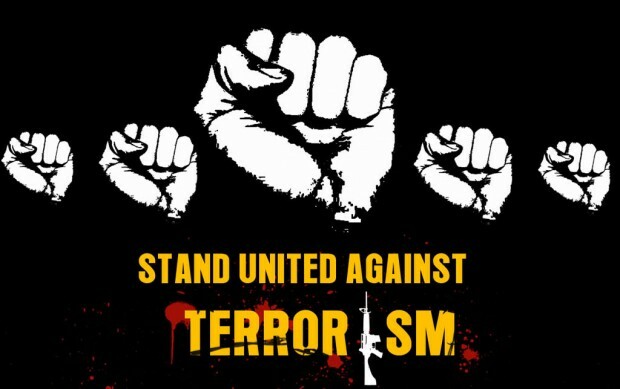 with different governments and have abandoned their terrorist activities. not commit murders and massacres. We must not blame any religion for terrorism. So what are these extremist terrorists really fighting for? groups are getting more violent? come out with the following findings about extremist groups of terrorists. has created a very vicious cycle which will be very difficult to stop. capturing people and holding them to get huge amounts of ransom money. It is obvious that extremist terrorist groups are very desperate and dangerous. They will do anything to keep on fighting and killing innocent people. at nothing to continue to cause many innocent lives to be lost. Many proactive measures are now being taken. support and funding for the terrorists. It is known that many people joined the terrrorists to escape from poverty. and power over other people and also to be able to kill at any time. This is very dangerous and must be stopped quickly. by terrorist groups in social media to stop them from recruiting online. many potential threats from being carried out. the false ideas are not easily accepted and spread. attacks without panicking or fearing to move around daily. these extremely violent radicals in their home bases. Do you agree with all these steps that are being taken? mass murderers to work on a peaceful solution?